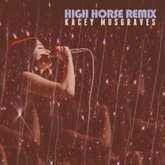 Listen to Kacey Musgraves's top songs like High Horse, Rainbow, Butterflies on EDM Hunters. The list is updated daily to include all of Kacey Musgraves's latest songs. The songs on this are ordered by number of likes, plays and downloads. Like your favourite songs to make your vote count. What's your #1? She later signed to Mercury Nashville in 2012 and released two critically acclaimed albums on the label: Same Trailer Different Park (2013) and Pageant Material (2015). Her first Christmas-themed album, A Very Kacey Christmas, was released on October 28, 2016. 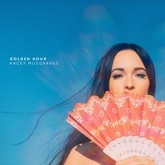 Her third studio album, Golden Hour, was released on March 30, 2018 to widespread critical acclaim. Listen to Kacey Musgraves's top and latest Dance, Funk / Soul / Disco songs, watch videos and discover DJs similar to Kacey Musgraves on EDM Hunters. Like your favourite songs to make your vote count. What's your #1?